Chai is Life: Taking over Zafran’s location on Wyndham Street is Chaiwala, a brand new concept from the Pirata Group. 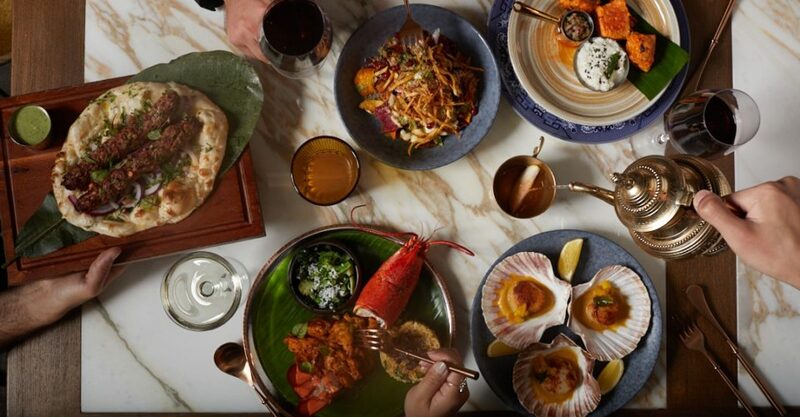 Inspired by the vibrant colors and flavors of India, it promises to be a new dining hotspot with modern Indian cuisine. Look & Feel: The restaurant is divided into into three distinct spaces. The Chai Bar features a vintage Indian chai stand. Tandoor ovens dominate the open kitchen. And in the Dining room, plenty of wood accents and nostalgic Indian decor create a fun vibe. We won’t spoil the surprise, but pay attention to the walls in the bathrooms – they’re a good laugh. 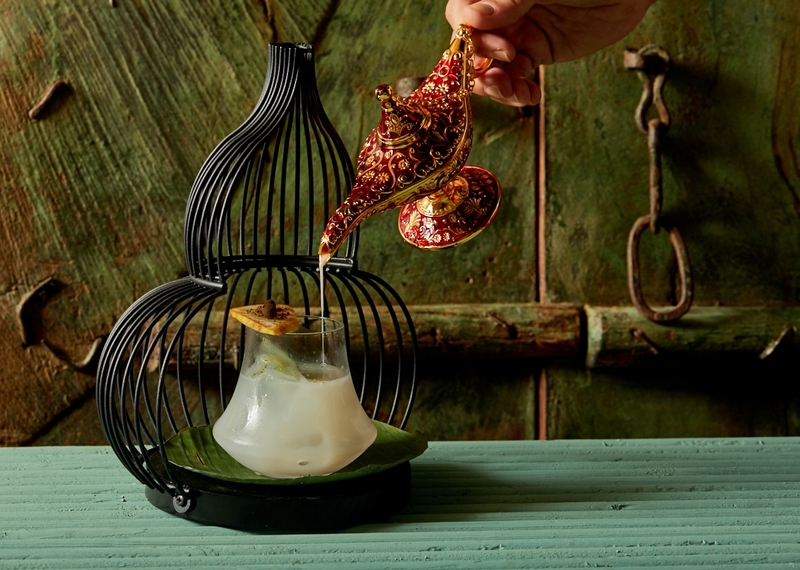 Magic Lamp – a cocktail made with butter washed rum, banana, dill and allspice. On the Menu: You’ll find six sections, and dishes spanning from Northern to Southern Indian cuisine. Start with street snacks like pani puri, cheese chaska, and Malabar scallops. Move onto hearty mains like tandoori lamb chops, lobster nerulli, and a particularly decadent Old Delhi Butter Chicken, all accompanied by delicious sides like truffle naan. Finish on a sweet note with gulab jamun and – what else? – chai. First-timers can opt for the Dabbawala Menu ($480) for a taste of signatures and favourites. Don’t miss the cocktails, which feature unusual ingredients and presentations – the Pink Floyd-inspired Money comes with caviar and gold flakes. Jeng: The food is truly delicious and, for the most part, satisfyingly authentic. Not so jeng: This is a fun, raucous restaurant with convivial atmosphere to spare. Translation: things can get a little rowdy, so this probably isn’t the spot for an intimate date. Great for: Big groups and family affairs. FYI: You access Chaiwala by walking through Hugger Mugger, a British cocktail salon serving a menu inspired by cultural legends.